You’ve invested some serious time and money in your concrete inground pool over the years, and it has served you well. But maybe it’s starting to show its age, and you’re looking into pool resurfacing. There are some key questions to ask before you hire a pool contractor to do the work. What is Pool Resurfacing and How Do I Know if My Pool Needs It? Pool resurfacing is exactly what it sounds like – putting a new surface on your concrete inground pool. Generally, a concrete pool will need resurfacing every 10-15 years. So it’s more of a long-term management issue. If you have visible cracks, chips or blistering on the pool surface, it’s time to resurface it. Damage to your pool’s surface can lead to leaks. Your inground pool may be leaking if you have huge water bills, if you have a wet spot near the pool, or if the water level goes down faster than it should. Can I Paint My Pool Instead of Paying for Pool Resurfacing? Painting your concrete pool instead of paying for pool resurfacing is only fixing a cosmetic issue rather than the underlying problem. If you have cracks or deteriorating plaster, paint won’t do a thing to fix that. 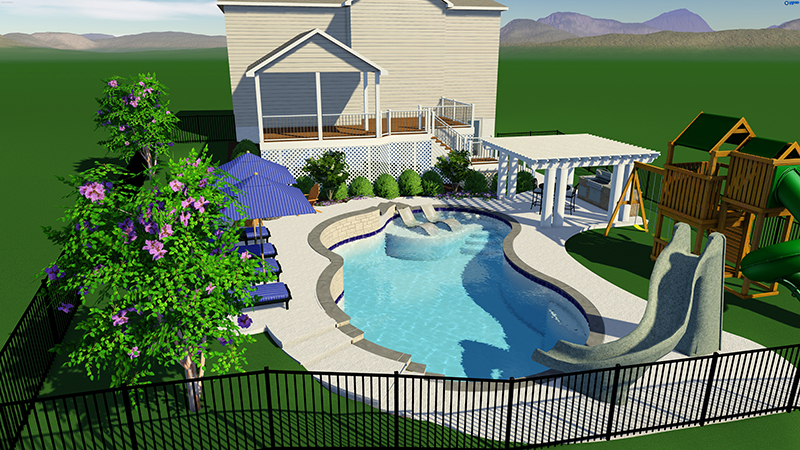 In addition, a paint job will last only 2-7 years, while professional pool resurfacing will last 15 years. And paint can start to powder after a few years, which can make your pool water cloudy and clog your pool filter. How Long Does Pool Resurfacing Take? Every pool is different. How long your pool resurfacing will take can depend on the condition and size of your pool, among other things. Generally speaking, a basic pool resurfacing project can be done in ten days. That includes draining the pool, resurfacing and filling it back up. Your pool resurfacing may take longer if you decide to replace the water line tile at the same time. What is the Best Finish for My Pool? What finish you choose for your pool will depend on your tastes and budget. Your pool contractor should be able to give you an estimate for several different finishes, and give you the pros and cons of each. The main finishes are plaster, tile, and aggregate. Plaster is the most common finish for concrete pools, and gives a smooth surface. 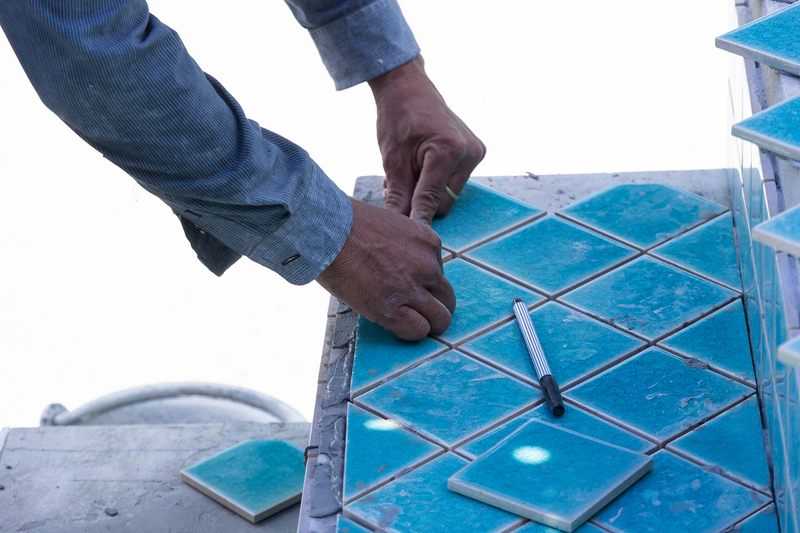 Tile is more expensive, but the gives you the option for a custom design. Aggregate finishes are resistant to damage and staining from chemicals. Woodfield Outdoors is a proud installer of Pebble Technology Aggregate Pool Finishes. When is the Best Time of Year to Schedule Pool Resurfacing? A pool contractor can do pool resurfacing pretty much any time of year, as long as the weather cooperates. Most people schedule pool resurfacing in the fall or winter months, when the pool is not in use. So if your concrete pool is ready for resurfacing, check with your local swimming pool contractor to get an estimate. 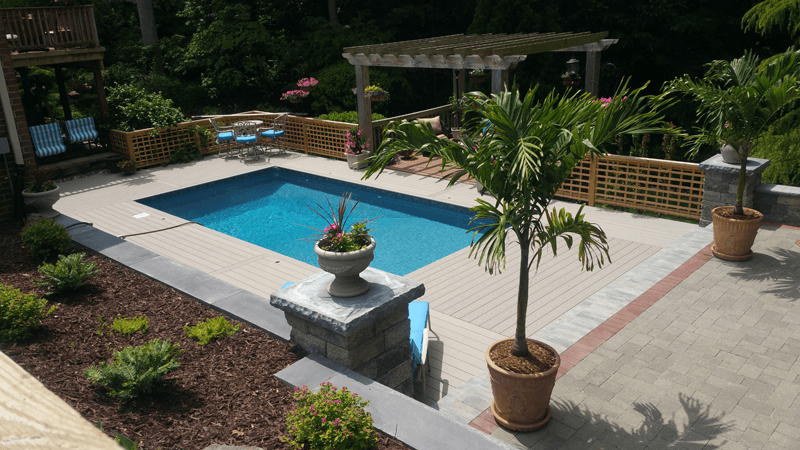 Fiberglass vs. Vinyl Lined Pools: Which is Better?